View the VR Full Experience on a Tablet/Mobile or Drag the image to view the image. versatile, adaptive and highly customizable. 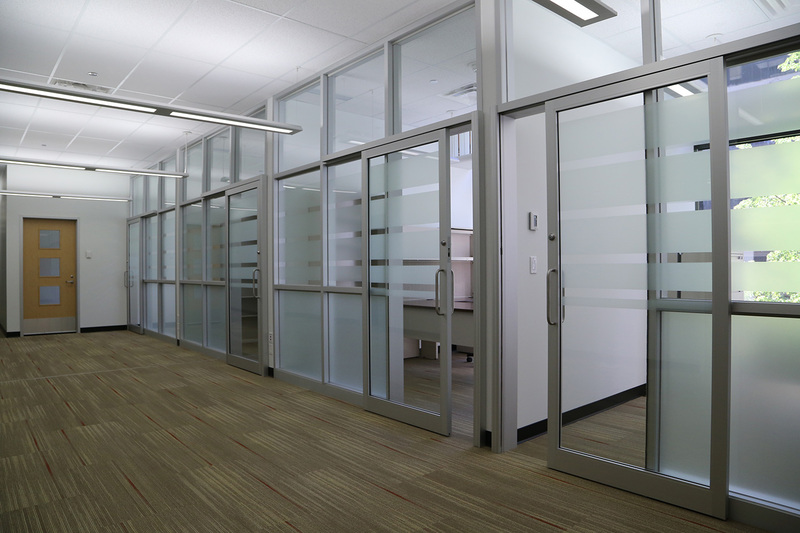 It is a full or partial height wall solution that can incorporate cable management, pivot door details, and numerous glazing options. Finishes are stock or custom, and pricing of the system has always remained competitive with fixed-in-place drywall – with the added feature of re-use. 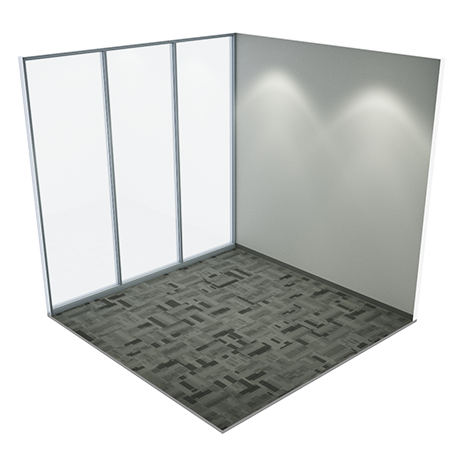 Standard panel size is 48’ with off size panels cut on site for maximum flexibility in space planning. 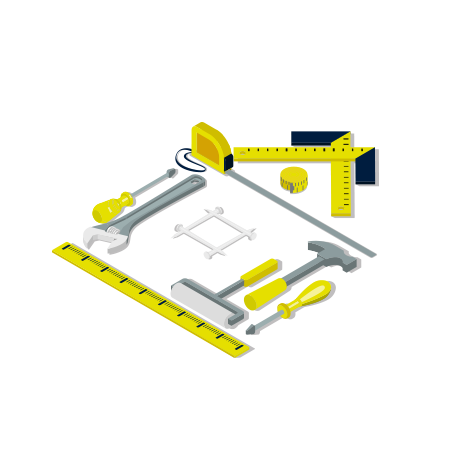 4” vertical tolerance allows for floor variance and site condition adjustment. 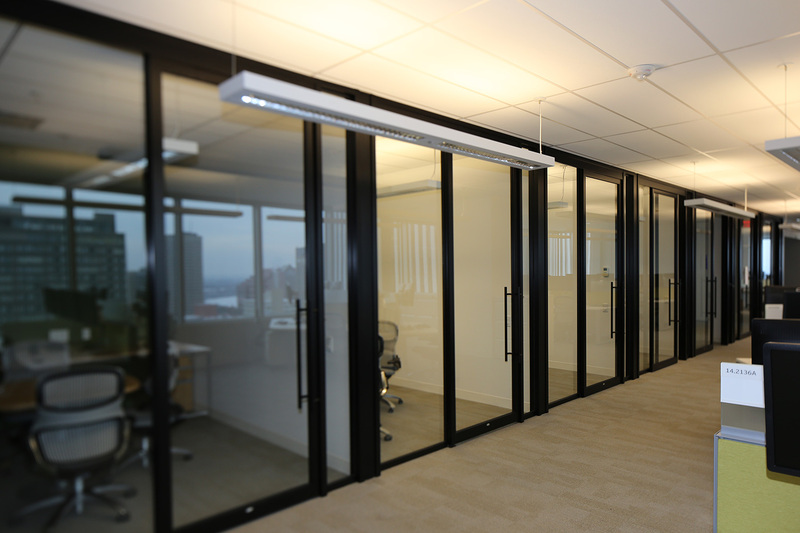 Demountable Stick Built Wall System that is relocatable. 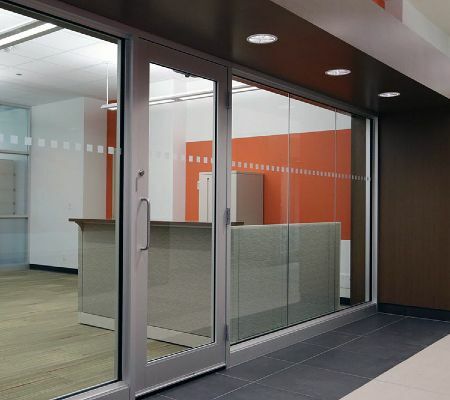 It is a full or partial height wall solution that can incorporate cable management, pivot door details, and numerous glazing options. Finishes are stock or custom, and pricing of the system has always remained competitive with fixed-in-place drywall – with the added feature of re-use. 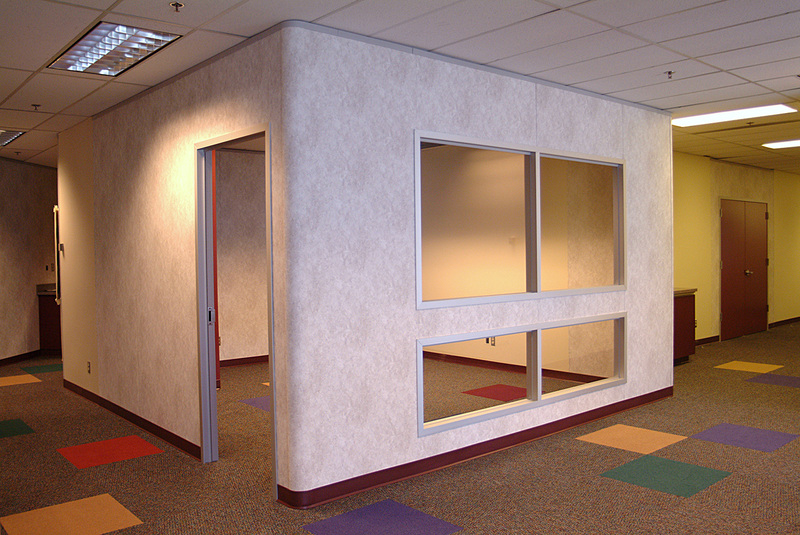 Classic demountable walls provide the most economical and practical alternative solution when compared to conventional painted drywall. Classic glazing provides effective use and freedom to create a variety of solutions. Numerous single and double glazing and panel options are available. 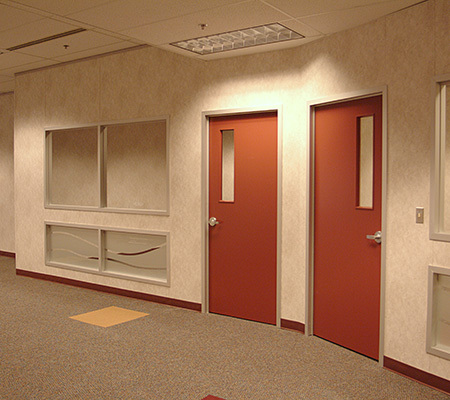 Classic series comes in an array of finishes including Vinyl, Fabric, Tackable panels, and Whiteboards. Compatible with hinged, pivot, flush sliding and sliding barn doors, and available in wood or aluminum. Any brand and style of hardware are accommodated. Office space, like life, is forever changing. The ability to relocate walls and renovate is a priority. 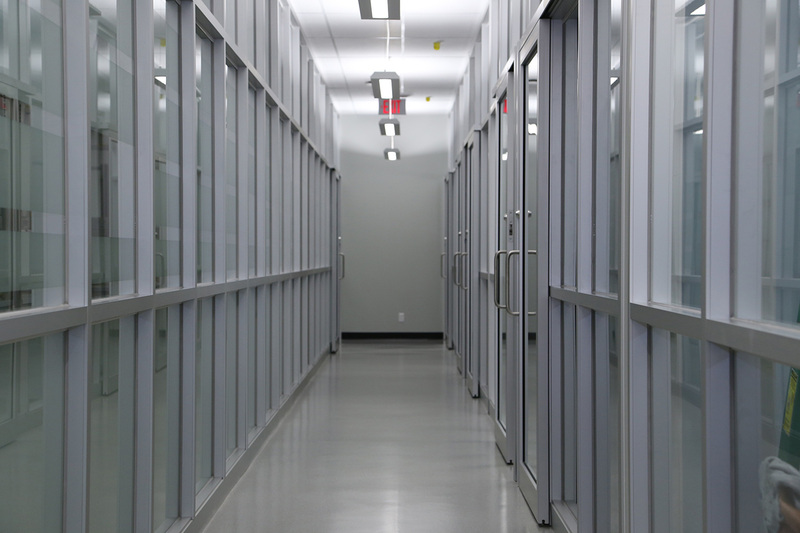 The Classic Series demountable stick built walls provide the most economical and practical alternative solution when compared to painted drywall. 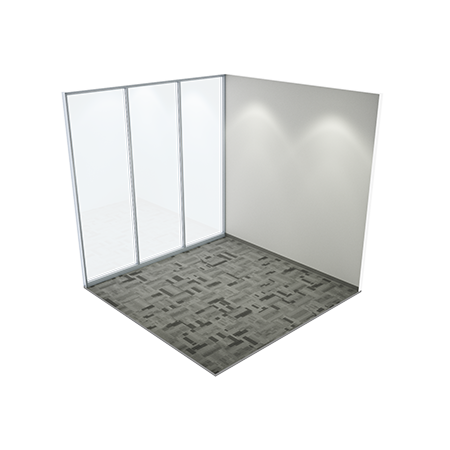 Offering off the shelf components and panels for same day changes and installs. Electrical / cabling can be built into cable management units in the factory, or installed on site. Using drywall creates dumpsters worth of waste, whereas Demountable walls can be up to 100% recycled or reused. 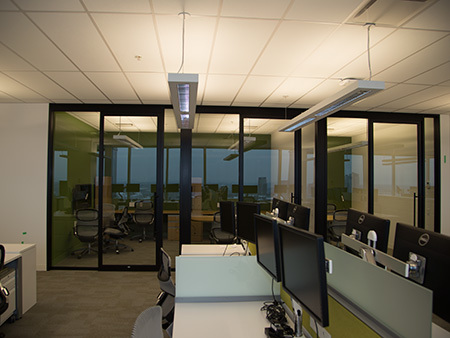 The biggest advantage to demountable walls is the decrease in construction and reconfiguration waste and eliminating drywall application - dust and paint fumes will result in improved air quality [IAQ]. The Classic Series contributes to LEED credits, through recycled content, and regional materials. 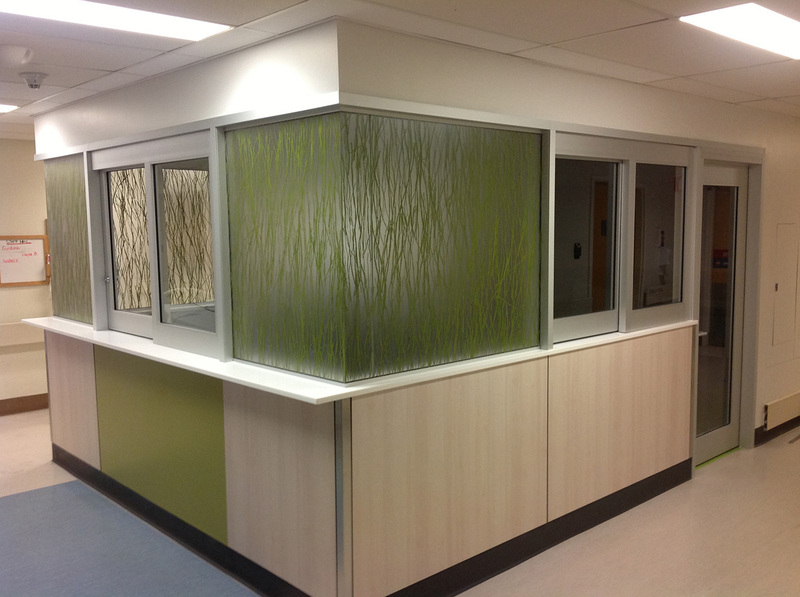 Solid Wall panels can span up to 12' high, glass can be up to 10' with a header above. No need to hire a drywall installer, or taper mudder, or even a painter. All necessary components are packaged in a carton which also contains assembly instructions and all hardware needed. No need to ship solid panels onsite. Reduced bulk or special packing and easier to store. 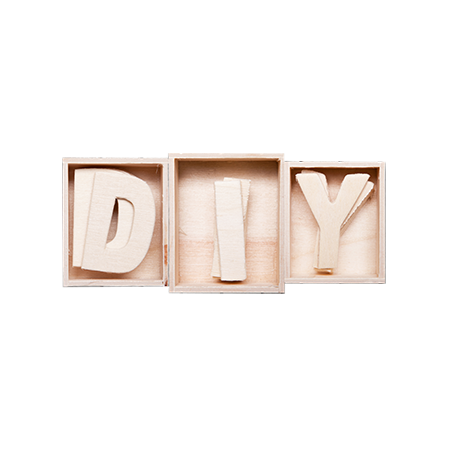 Do it yourself, also known as DIY, is the method of building, modifying things without the direct aid of experts or professionals. No damage to floor or ceiling during install or renovation, thanks to Carpet Grippers / Floor Fasteners & T-Bar Clips. Incredible leasing options to get you started. without sacrificing quality, looks, or functionality. Find out how Blending can transform your space and lower cost. 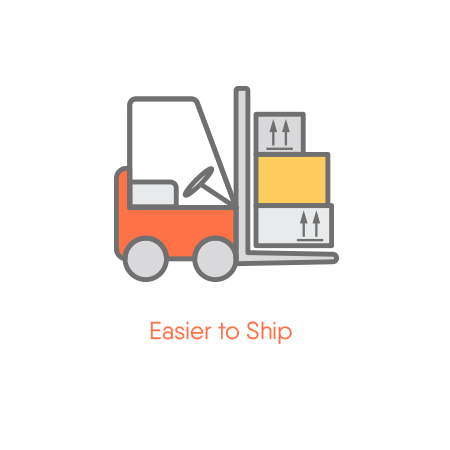 Do you rent or lease your products? We do not rent our products but we can arrange for a leasing agent to work with you on leasing our products. How early can I receive my order? "We require 2 weeks lead time for any products that need to be run. Stock items may be picked up next day." Is the Classic Demountable or Movable? 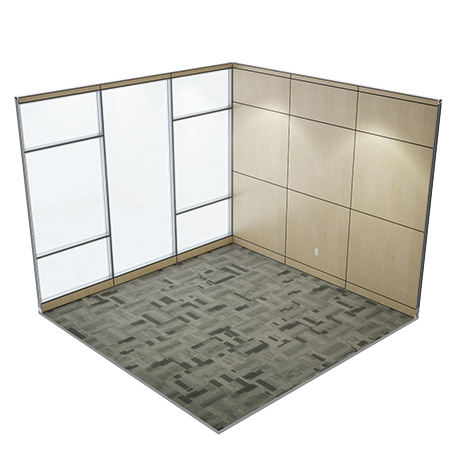 The Classic is considered a Demountable Wall System where all the components and finished drywall is delivered to the job site and set up there. This is the process used for Demountable. Is this system Non-Progressive meaning you can remove a center section of wall without disturbing walls on either side? Is the Classic more affordable than drywall painted? In many cases, the Classic Series can come in equal or less expensive than traditional construction. The big benefit with PS350 installs other than an amazing look is the single trade to install start to finish. That alone is huge. Can the Classic Series Walls be used with other walls you offer? Yes, we recommend BLENDING all of our wall systems together when the client is looking for different levels of finish in certain areas and not requiring to use a higher budget product in others. Is the Classic Series faster to install than drywall painted? Yes, as well as much cleaner. The other benefit is having a single installer from start to finish versus a total of 3-4 with painted construction. Does the Classic Series have good Sound test ratings? Choose the best one that suits you! 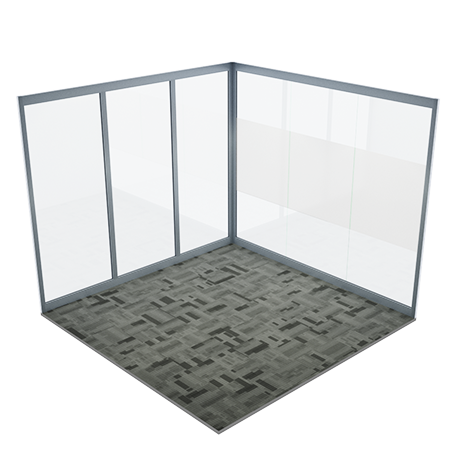 Pre-engineered & 100% factory fabricated unitized & modular feature allowing for quick install and easy relocation. STC ratings between 41 to 51, depending on materials and insulation used. All solid wall sections will come prepped for the installation of one or more electrical service kits. Whiteboards, TV, Projector Screens, Tackbaords just to name a few. 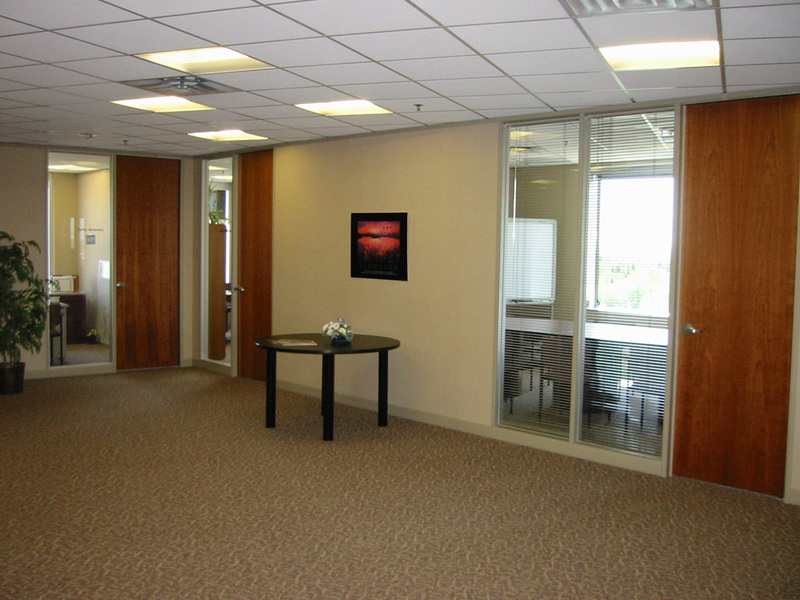 Many furniture systems can be attached to the Executive wall system. 100% Factory Fabricated. Shipped job-site ready. 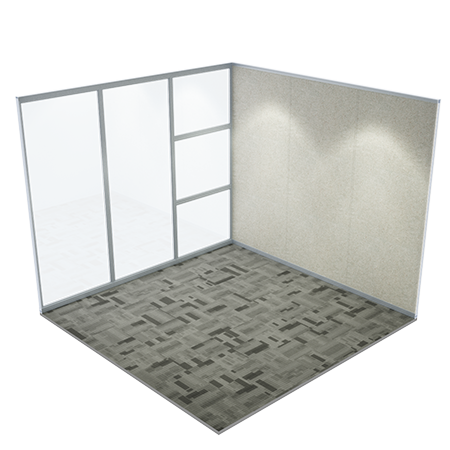 All Corporate Series are unitized modular panels that can easily be interchangeable and allow for expansion and changes. 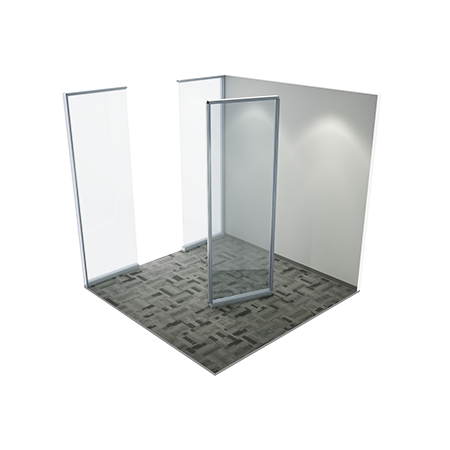 Corporate Series Wall systems are available in panel widths of 6” to 48” resulting in maximum flexibility in space planning and modularity for reuse. All solid wall sections will come pre-wired for all your electrical and data needs. CSA certified. 100% of the wall system components can be re-used during renovations, reducing both costs and environmental impact. Clear Anodized, Black, or Custom Color. 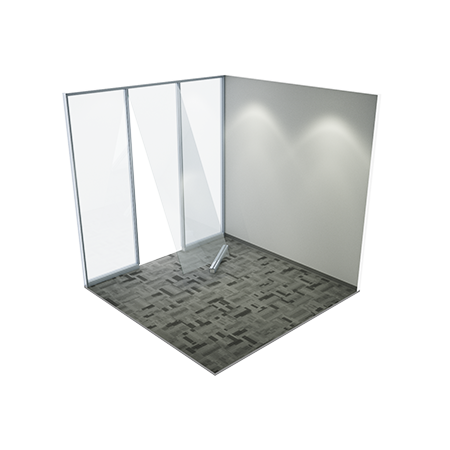 Solid Wall panels can span up to 12' high, glass can be up to 10' high with a header above. No need to hire a drywall installer, or taper/mudder, or even a painter. Tempered glass is a type of safety glass processed by controlled thermal or chemical treatments to increase its strength compared with normal glass. 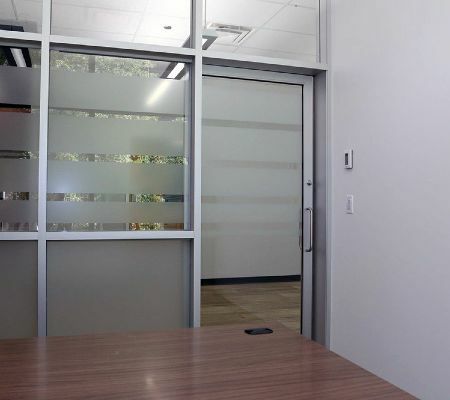 Laminated glass significantly improves sound attenuation compared to unlaminated glass panes of the same thickness. All products that are used are recyclable which means less energy and reduced greenhouse emissions. 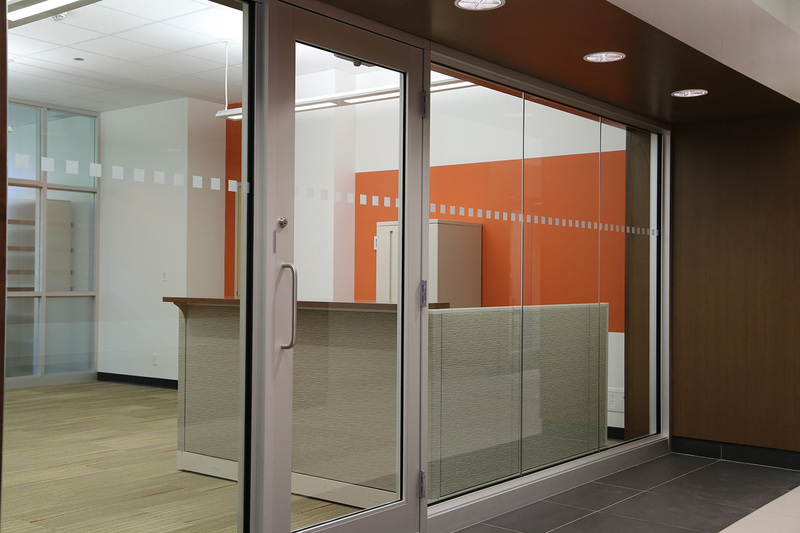 Lightweight Aluminum and Glass, what could be simpler to install?